These agreements are intended to create a legal basis for promoting the trade of goods and services and lead to a broader economic cooperation. Each party undertakes to encourage and create favourable conditions for the export or import of goods and services originating from the other party and to accord to them the same treatment it accords its own products or traders. Albania has agreements in place with France, Greece, Germany, Romania, Italy, Turkey, USA, Netherlands, China, Poland, Croatia, Malaysia, Austria, Bulgaria, Czech Republic, Egypt, Russia, Switzerland, Macedonia, Argentina, Uruguay, Israel, Serbia & Montenegro. An agreement with Slovenia was abolished in 2005 and one with the Ukraine has yet to enter into force. Albania has signed Conventions for the avoidance of double taxation and the prevention of fiscal evasion with respect to taxes on income and on capital with many countries, which have priority over Albanian domestic law. BITs are treaties that ensure the investors of respective countries receive national or most-favoured nation treatment and provide mechanisms for the settlement of disputes. Greece, Germany, Italy, France, Austria, Netherlands, United Kingdom, Denmark, Sweden, Portugal, Belgium, Spain, Finland, Poland, Hungary, Slovenia, Czech Republic, Switzerland, USA, Turkey, Romania, Bulgaria, Macedonia, Croatia, Russia, Israel, Tunisia, Egypt, China, Malaysia, Serbia & Montenegro, South Korea, Kosovo (UNMIK). As an important achievement toward EU integration, the Stabilization and Association Agreement includes the establishment of a free trade area between Albania and the EU in a 10 year time frame. The SAA was ratified on April 2009 and supersedes the Interim Agreement which is now an integral part of the SAA. On December 19, 2006, all of Albania’s bilateral trade agreements with countries in the region were transformed into a multilateral one, the Central European Free Trade Agreement (CEFTA 2006), which includes eight countries: Albania, Macedonia, Montenegro, Kosovo, Moldova, Croatia, Serbia and Bosnia and Herzegovina. 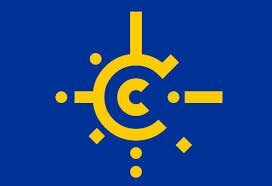 CEFTA’s main objectives are, inter alia, to expand trade in goods and services and foster investment by means of fair, stable and predictable rules, eliminate barriers to trade between the Parties, provide appropriate protection of intellectual property rights in accordance with international standards and harmonize provisions on modern trade policy issues such as competition rules and state aid. It also includes clear and effective procedures for dispute settlement. On December 2009, Albania signed an FTA with the European Free Trade Association (EFTA). 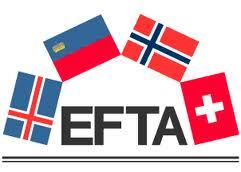 EFTA member states are Iceland, Liechtenstein, Norway and Switzerland. The Free Trade Agreement between the Republic of Albania and the EFTA states focuses on the liberalization of trade in goods. Both EFTA and Albania will abolish all customs duties on industrial products, including fish and other marine products. Bilateral arrangements on agricultural products between the individual EFTA States and Albania also form part of the instruments establishing the free-trade area between both sides. Albania has also a Free Trade Agreement with Turkey, signed in 2006 and entered into force on May 2008. According to the agreement, no tariffs will be put on Albanian industrial goods exported to Turkey and tariffs for certain Turkish products will be reduced before they will eventually be exempted in five years.Regarding to agricultural products, the countries have granted each-other tariff quota. (Based on the principle which enables you importing countries, which after a certain degree of processing, goods originating them as their own). The application of diagonal cumulation between Albania, Croatia, Macedonia, Serbia and the EFTA States is foreseen by the Free Trade Agreements that these countries have signed with the EFTA States. The System of Preferences General (GSP) is a US trade program designed to promote economic growth in developing countries by providing preferential duty-free entry of up to 3,500 products from 128 countries including Albania & Kosovo.The purpose of the GSP program is to give these exports a competitive edge in the U.S. market. U.S. companies and customers are especially interested in buying goods through the GSP program because the exports are not charged tariffs, upon entering the United States. Many items are eligible for GSP duty-free treatment. These include most manufactured goods; inputs used in manufacturing; jewelry; many types of carpets; certain agricultural and fishery products; and many types of chemicals, marble, and minerals.